This was our first attempt at a Jamie 30 minute meal but we didn’t really try to do it in 30 minutes as we like to relax when we’re cooking. We didn’t bother with dessert either. The result was pretty good – very nice risotto and a fabulous salad which we’ll definitely do again with other dishes. We found the recipe quite confusing to follow and it’s particularly difficult if you’re not cooking the entire meal (dessert included). We’ve given you the recipes below but they’re in old-fashioned format, i.e. prep first and cook second, so sorry if that’s not your style but we find the traditional format easier. Put the onion, celery and dried porcini into a food processor and pulse until finely chopped. Heat a large saucepan on medium and add a good lug of olive oil. Scrape in the processed mixture and cook for a few minutes. Throw in the chopped rosemary and rice; stir well for a minute. Pour in the white wine and crumble in the stock cube. Stir until the wine is absorbed and then season. Add a couple of ladles of the stock or water and stir in well. You need to then keep coming back to the risotto every minute for about 16-18 minutes – stirring in a bit more stock each time. Add half the mushrooms after a couple of minutes. Heat a large ovenproof frying pan and add a couple of good lugs of olive oil, the remaining mushrooms, garlic, and a good pinch of salt and pepper. Stir for a second, add half the thyme and take off the heat. Add the remaining thyme to the rice. Put frying pan of mushrooms under the grill to crisp up, turn the grill off when they are golden and crispy. When the rice is al dente stir in the butter and most of the Parmesan, add lemon juice and taste for seasoning. Stir in half the parsley and throw the rest over the grilled mushrooms. Put the lid on the risotto and let it rest for a minute or two – you could dress the salad at this point. Ladle the risotto onto plates and spoon some grilled mushrooms over the top with some extra Parmesan. Put balsamic vinegar, lemon juice, 3 tbsp of extra virgin olive oil and a good pinch of salt and pepper into a large salad bowl and add the pine nuts. Add the spinach, mint leaves, sun-dried tomatoes and cucumber. Don’t toss until the last minute. Serve with the risotto (or anything else you fancy a nice salad with). 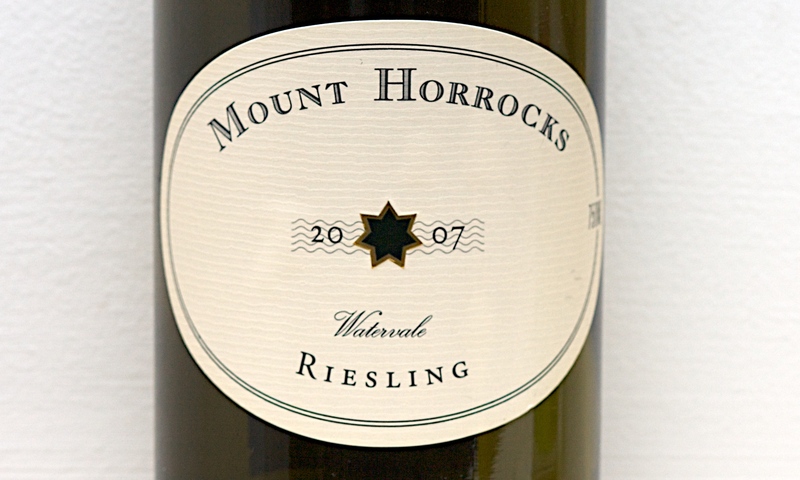 Wine suggestion: we had a really nice Riesling from Mount Horrocks in the Clare Valley, South Australia. If you come across anything from Mount Horrocks it is well worth a try as everything we have tasted has been really special (Jono got a bottle of their Semillon, which is barrel fermented, for a Christmas gift and we loved it!). Also has a nice label if such things matter to you. Your recipe sounds great as well … plus we love the background research. 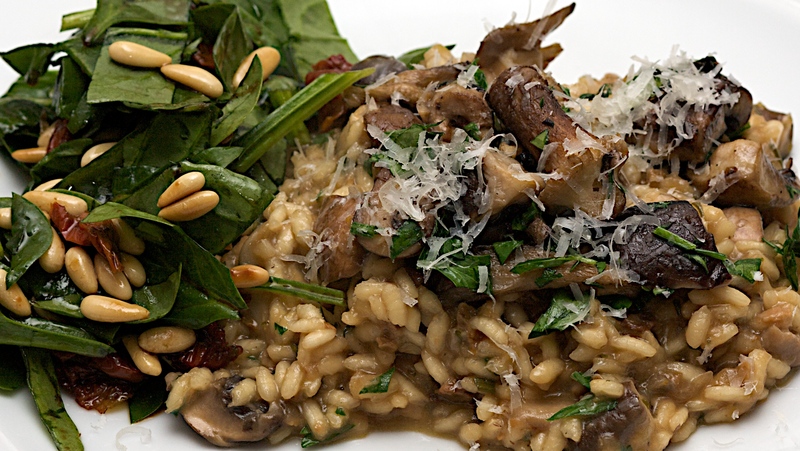 Love your risotto and all the ingredients that go into it! Thanks for sharing! Just tried this but added some mussels and it was delicious! Just cook this risotto but with king prawns. It’s delicious! on 11 November 2013 at 11:07 am | Reply Minta T.
Thanks for ‘de-coding’ Jamie’s sometimes complicated recipé! First attempt at a risotto and came out well, though a little sticky. 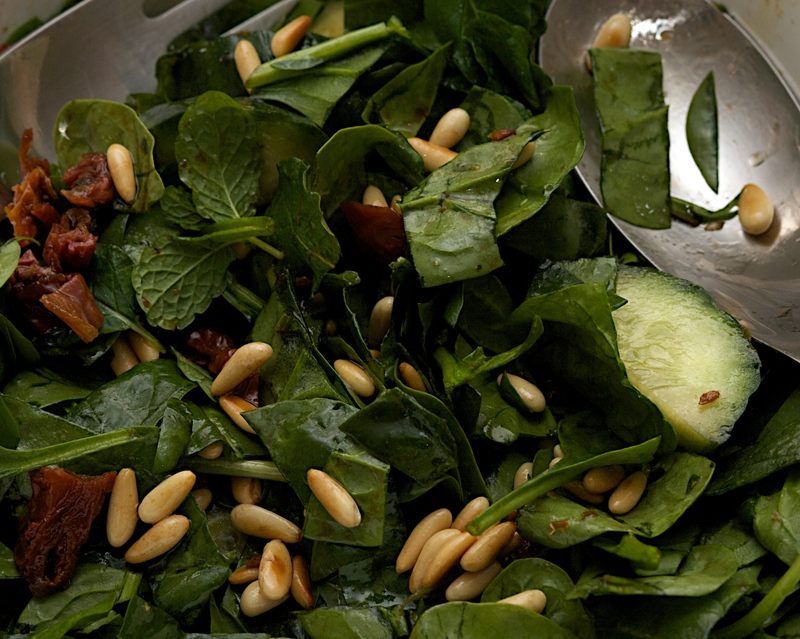 Salad is utterly delicious – the lemon and pine nuts work so well together! Thank you so much for posting the recipes. I’ve been searching the web for the recipes from this episode. I can’t wait to make these two!